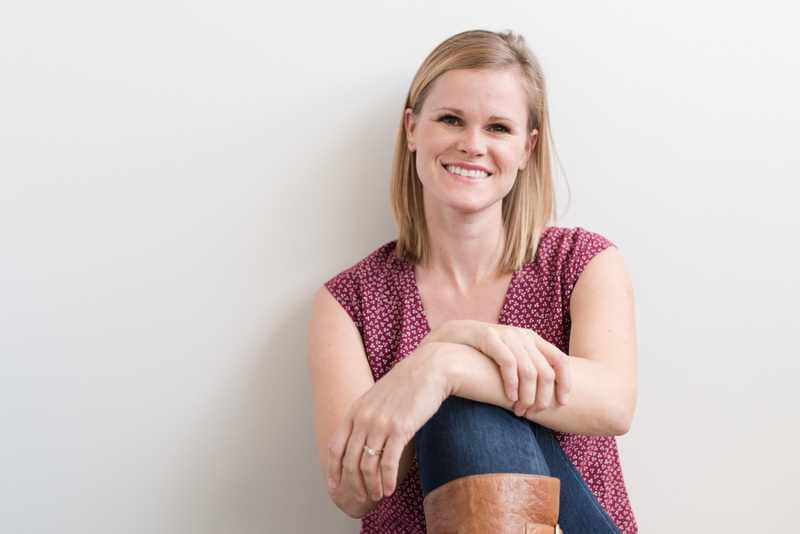 A conversation with the founder of Positive Nutrition, mindfulness expert, and host of Nutrition Matters Podcast, Paige Smathers, RDN, CD on why we need to look at all facets of our well-being to live a fulfilling life. Monica: I’m so glad to be chatting with you today, Paige! How did you first get started on this path of nutrition and wellness? Paige: I knew I wanted to go into nutrition and become a dietitian since the age of 14. The idea of a career as a dietitian appealed to me because I wanted to learn the truth about food and nutrition. Obviously, that was a naive thought to know “the truth”. The more I learned, the more I realized there were more questions than answers. As a 14-year-old, there were so many different messages around me and swimming through my head about nutrition, so I was very interested in being able to understand all sides better. I also appreciated the impact food had on my performance as an athlete as well, so I appreciated the delicious food my mom made. My goal early on was to help people live healthier lives, so through the years of school and into my career, my philosophy, approach and skills stayed the same. They have evolved over time, of course, but my overall mission and goal is still the same: to help people live happier, healthier lives. Monica: It sounds like you were always really mindful about how health can make an impact our abilities to do the things we do. How has the definition of being healthy changed for you over the years? It should simply mean promoting good health. When you think of it that way, it’s easy to see how broad the definition of the word health really is. There are infinite things in life that are health-promoting: a walk on a summer night after a long work day to unwind, sipping hot chocolate while watching your loved ones open gifts during the holidays and even roasting marshmallows over an open fire while camping with your family. When we think of the word “healthy” for what it truly is, it’s easy to see how reducing it down to good and bad, right and wrong with specific foods is doing a serious injustice to the word. There’s so much more to it! Monica: Yes, that is so true! There’s this fixation in our culture around what specific foods or groups of foods will give us the magical solution, but we know that simply isn’t true. How do you want others to think about food and nutrition? Paige: The main thing to know is that there is no one food that promotes health. Consistently providing your body with a wide variety of foods in balance with each other is when a person can enjoy a health-promoting way of eating. Being healthy includes a balanced way of eating, but there’s more to promoting good health than food alone. It also encompasses what we allow to dwell in our minds and how we engage in our own self-care. For that reason, sometimes eating foods that others may deem “unhealthy” might just be the healthiest choice you can make in that moment, because maybe enjoying that food in that moment is a chance to connect with someone you love, or enjoy a pleasurable eating experience. Connection and pleasure have a time and place with eating and can enhance our health when those values are in balance with other values around food such as balance. There’s also the need to recognize that ‘healthy’ is not the way your body looks or the size of your jeans. Healthy is not avoiding certain foods and only eating foods deemed “good”. Healthy is not obsession and rigid food rules in the name of obtaining a certain body size. Healthy is keeping all areas of wellness and life in mind as you navigate your self-care and time spent on important tasks. Being healthy means you carve out time and energy to find hobbies, people and work that fulfills you, uplifts you and enhances your ability to be the best person you can be. Monica: I really appreciate how you define health as something that impacts us as a whole, not just one facet of our physical being. How has your work influenced your own perspective on life? Paige: The work I do gets me outside of myself. I sit and listen to people talk about their pain, their epiphanies and their triumphs for a living. Because of this beautiful gift I have of listening to others, I have learned so much about other people’s lived experiences, and I’ve learned just how individual “health” and “happiness” can be for different people. I’ve learned that health isn’t a math equation or a scientific formula: it’s a value we pursue and nurture on an ongoing basis. My current work is also something that continually teaches me how to be a better human. I’m constantly learning things like: how to prioritize my own self-care to be effective at the work I do, how to take risks and try something new, how to feel anxiety or fear and breathe through it and more. Because I’m also the mom of two young girls, I’ve found that my work gives me an incredible outlet for my skills and talents that I can serve others with. I absolutely love being a mom, and I’m grateful for the chance I have to balance motherhood with working. Monica: That’s so wonderful when you find so much meaning in the work you do, and have it improve your own life. Do you find that to be helpful in driving your work’s purpose? Paige: I don’t know if I have any grand purpose in the work I do. That might sound weird, but what I mean is, I don’t attach myself or my worth or my work onto whether or not it is helpful for others. I stand tall in my truth that what I share has been helpful for me and for many others, but I also recognize that it won’t be helpful for everyone. Part of staying mentally well in a society that’s so fast-paced and in a career where I’m putting myself out there all the time, I have had to come to the realization that I don’t really have a goal with what I’m doing. I’m simply sharing what I feel is relevant and helpful, asking people to think, discuss, explore and unpack their own stuff and then come to their own conclusions. I do the work I do without a death grip on the result. I do it because I enjoy it and because it is meaningful to me. But I don’t feel the need to put a grand purpose or goal onto others. To me, that’s a recipe for mental health disaster! Monica: That is such a valuable perspective to hold on to, and especially important when we live in such a fast-paced culture. If there was one thing you want others to know about how they can thrive in life, what would that be? Paige: If I could tell people one thing, it would be this: treat yourself like you would someone you love. Talk to yourself in your own head about yourself like you would talk about your child, or your best friend. Nourish your body like you would nourish someone you love. Allow time for fun. Prioritize your wellbeing but not at the expense of you being able to live out what’s most important to you. Be patient, be compassionate, and be kind to yourself. It goes a long way! Learn more about Paige at www.positive-nutrition.com.